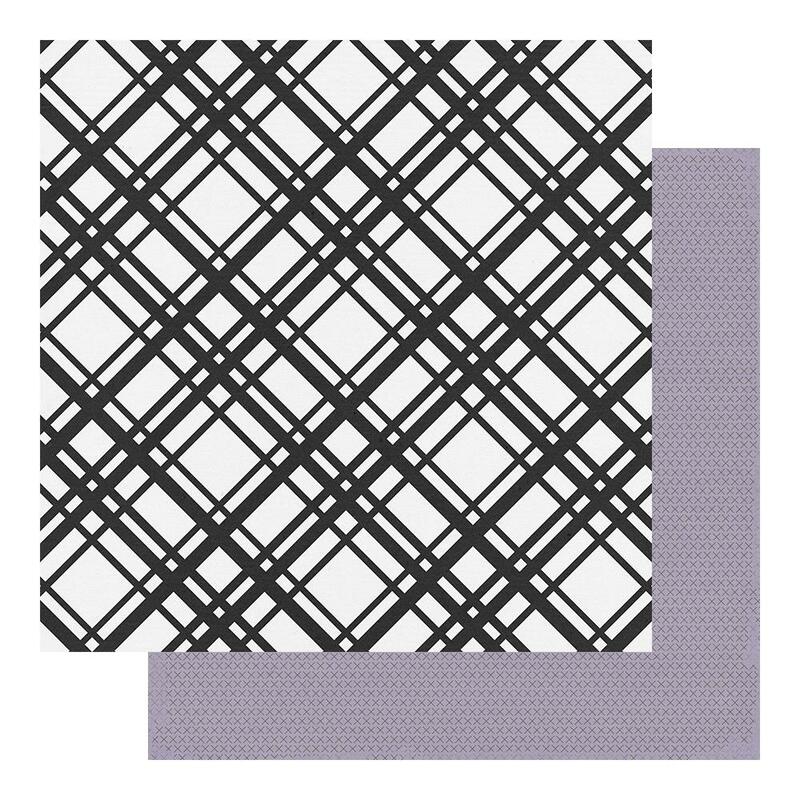 This 12x12 double sided paper has a large Plaid Pattern in Black & White on the frontside. The reverse side has a pattern of "X's" on a purple background. Look for coordinating Ephemera, Treat Bags and other Designer Papers. Part of the Spellbound Collection by Fancy Pants Designs.